Three years of excellence in the delivery of the Australian Government Department of Foreign Affairs and Trade (DFAT) supported International Coral Reef Management and Leadership Course. 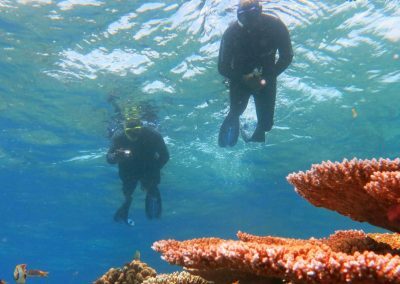 The Course has been designed by world experts on Coral reef management and leadership to equip the participants with knowledge, skills, experiences, case studies and inspirational stories about coral reefs and people. 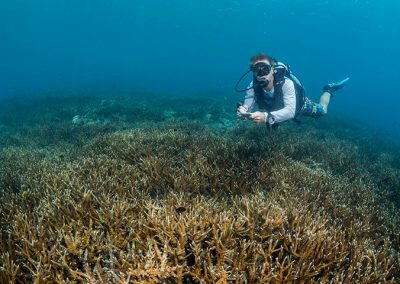 The International Coral Reef Management and Leadership Course has been designed to bring together the current and future generations of people who care about coral reefs and wish to tackle some of the biggest problems on the planet such as climate change, declining water quality, overfishing, coastal development and stewardship. The course has been delivered in 2015, 2016 and 2017 to selected coral reef leaders, managers and scientists from the Caribbean, Indian and Pacific Oceans. During the most recent iteration, fifteen reef managers from seven coral reef nations gathered in Australia in November 2017 to participate in an Australia Awards Fellowship funded by the Department of Foreign Affairs and Trade. Coordinated by Reef Ecologic in partnership with the Great Barrier Reef Marine Park Authority, IUCN World Conservation Union, South Pacific Regional Environment Program and the Gulf and Caribbean Fisheries Institute, the Fellowship provided a forum for cross-cultural exchange of ideas, information and experience. Involving an exciting schedule of expert presentations, immersive learning and the memorable personal experience of snorkeling on the Great Barrier Reef, the Fellowship provided a unique opportunity for coral reef managers from across the globe to strengthen their leadership skills and form alliances that can underpin national and regional actions that will help coral reefs. “The people of Fiji are coral reef people. They all want to help coral reefs cope with climate change. The things I have learned in Australia will help me empower Fijians to be strong and proud stewards of their coral reefs. That is the future for conservation in my home,” said Tomasi Tikoibua, from Fiji’s Institute of Applied Sciences, the University of the South Pacific. 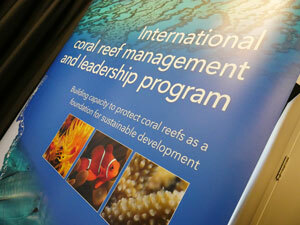 The International Coral Reef Management and Leadership Fellowship. Australia is privileged among coral reef nations to have such globally-significant expertise and to be able to help other nations who share a strong dependence on these majestic and productive ecosystems. Reef Ecologic hopes to continue our collaboration with DFAT to offer the course again in 2018. 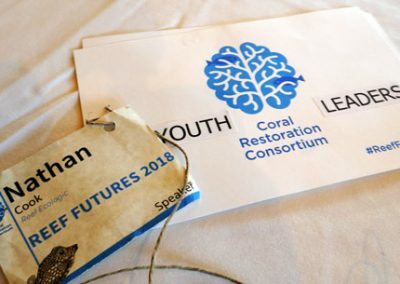 “Reef Ecologic is proud to be working with the Department of Foreign Affairs and Trade to deliver such a significant Fellowship, which is delivering crucial capacity building and knowledge exchange opportunities to coral reef managers from the Caribbean, Oceania, Asia-Pacific and Indian Ocean Regions,” said Dr Adam Smith, Director of Reef Ecologic. The Australia Awards Fellowships support key development and foreign affairs priorities by giving Australian organisations the opportunity to strengthen links with and build the capacity of key partner organisations from eligible countries. 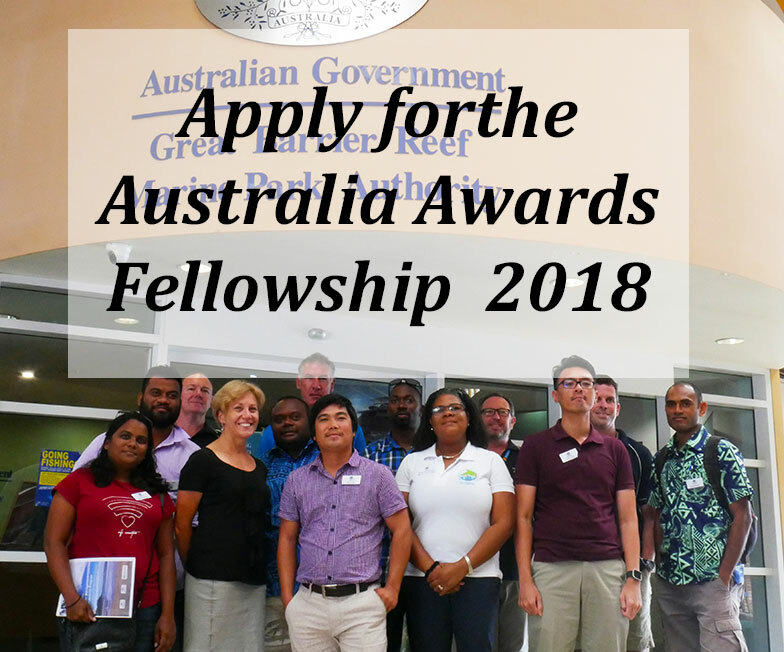 Current and emerging leaders in coral reef management from eligible countries can apply for Fellowships funded by the Australian Department of Foreign Affairs and Trade through the Australia Awards Fellowships Program. CLICK HERE to apply for 2018. Download the full Management and Leadership Course Brochure here. “Coral reefs are in crisis, but they are too precious to lose. What we need is a reef revolution. 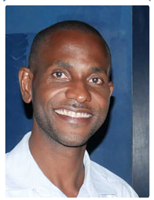 This program of learning has inspired me to work with my government and our stakeholders to find new ways to help coral reefs, which are so vital to the people and economy of Saint Lucia, in fact to all of the eastern Caribbean,” said Mr Thomas Nelson, Deputy Chief Fisheries Officer in Saint Lucia. 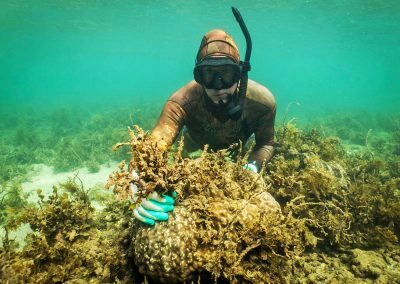 “Australia is recognised as a world leader in coral reef management. 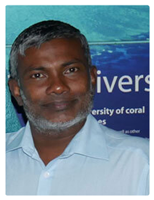 We have a long history of development assistance from Australia, and this coral reef management program is another example of the wonderful support Australia can provide us in the Maldives,” said Mr Ibrahim Naeem, Director General of the Environmental Protection Agency (EPA) in the Maldives.